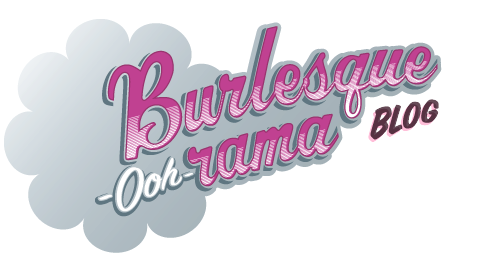 burlesque-ooh!-rama: No.5 - Hot, Wild & Dangerous! No.5 - Hot, Wild & Dangerous! 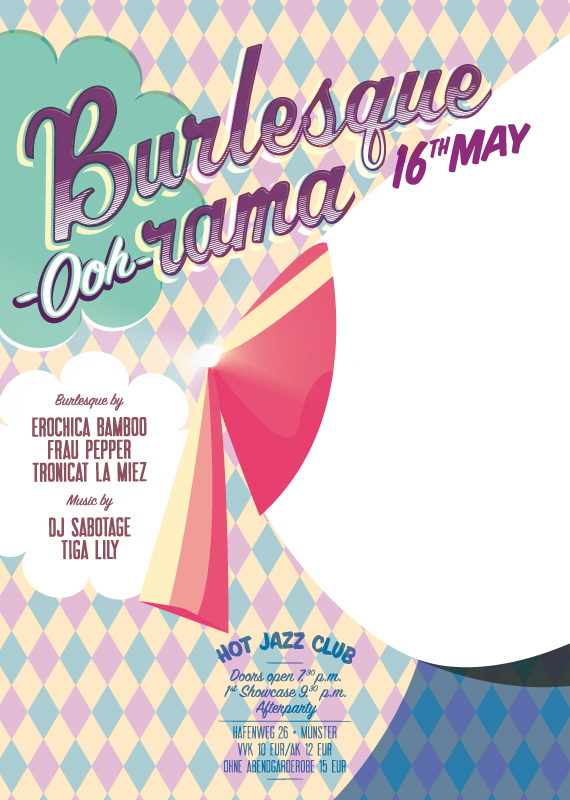 We proudly announce that the 5th edition of "Burlesque-ooh!-rama" finally takes place on May 16th! The internationally reknown and devastatingly performing showgirls for this sparkling evening are Erochica Bamboo (Tokyo), Frau Pepper (Berlin) & Tronicat la Miez (Catzedonien). Whilst you are enjoying 3 showcases including 3 shows each you will be mesmerized by alltogether 9 completely new performances!!! This breathtaking spectacular will be hosted by the infamous & ball(s)hittin' Eve Champagne (Hamburg). Between the showcases and thereafter Tiga Lily (Vienna) & DJ Sabotage (Hannover) request you to swing your hips to some dusty retromuziek, vintage & sizzlin' hot electroswing. Furthermore Miss Candy Pia will delight you with sweets on highheels. Please note that we are starting early - so don't miss the show! Doors open at 7.30 p.m., first showcase starts at 9.30 p.m.
We like nice dressed and expressive people 'cause without you there would be less glamour and excitement!!! We recommend our guests warmly NOT to take private pictures, please. Thank you.